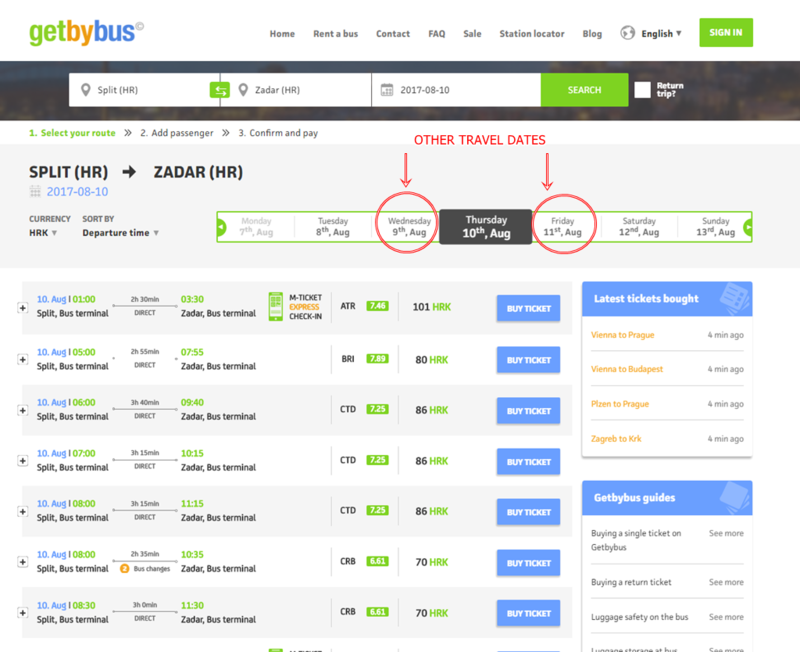 How can I buy bus ticket online? armaan Asked on September 25, 2017 in Buying & Selling. On the home page of Getbybus.com, which looks like image 1 below, you have to do the following. On the website, you will now see a list (if any) of the available departures for the route and travel date you picked on the home screen. 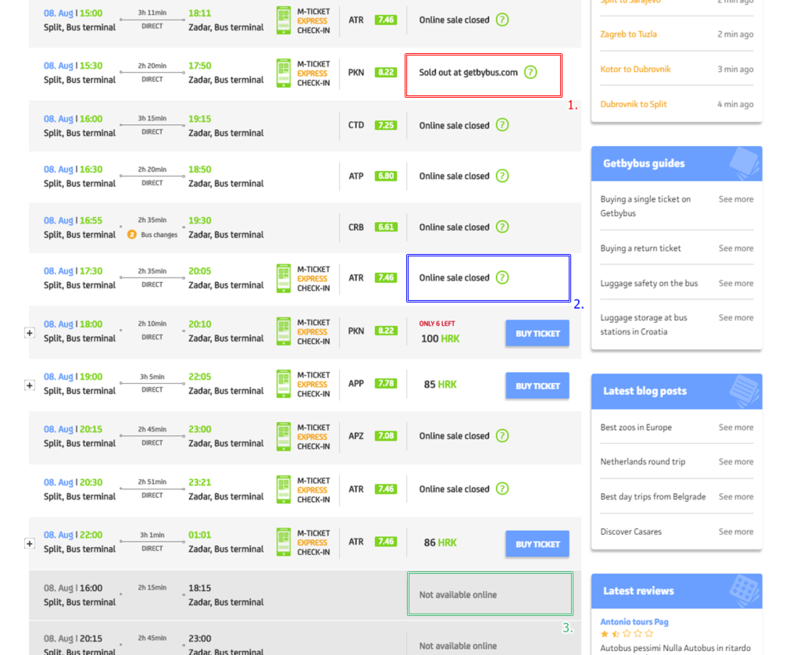 As illustrated on the image below you can easily switch your travel date by using the Quick date picker above the result list. If you wish to do a new search between other cities, you can use the search form at the top of the screen. 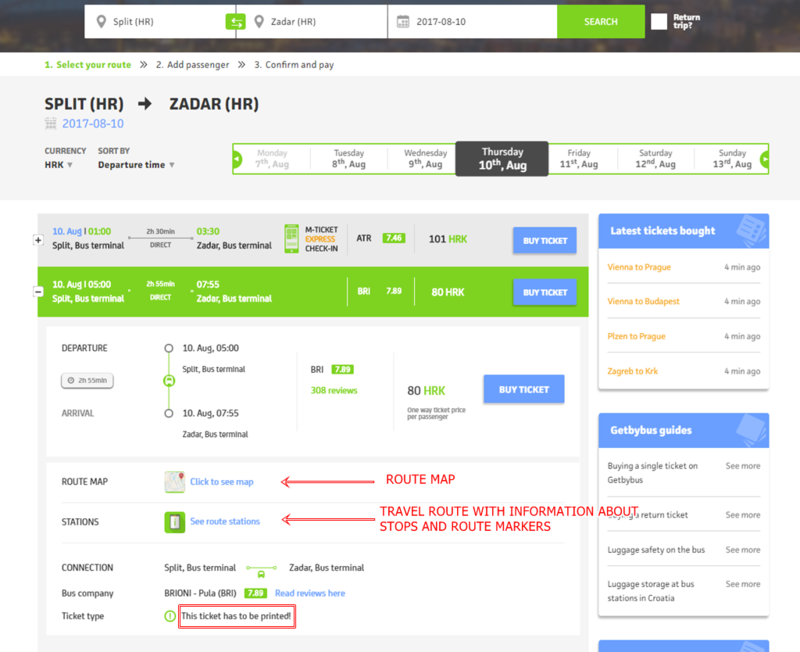 When you click on one of the routes listed in the search result, the route will expand and display special info which applies to the specific route. As you can see on Image3 below, you can see a map of the driving route of the bus, details about the stops and way points (e.g. borders).The majority of buses depart from the main bus station, but in case the bus DOES NOT depart from the main bus station in the city you travel from, there will be listed some special stops like the example shown on Image 3. (You can read more about finding your bus departure location here.). Last but not least, it is stated if the bus company operating the route you have picked require you have a printed ticket to board the bus. Once you have found the route you wish to travel on – click on the blue “BUY TICKET” button which will take you to the sign in process. Sold out at Getbybus.com: Means we have no more tickets available online, you might be able to find tickets at sales agents or at the bus station. However, we can’t provide any information about availability at other sales points. Online sale closed: Means that online purchase of tickets for the departure is no longer possible. Tickets might be available at other sales points. However, we can’t provide any information about availability at other sales points. Not available online: Means that tickets for this departure can not be purchased online. Tickets might be available at other sales points. However, we can’t provide any information about availability at other sales points. Rukhshan Answered on September 27, 2017.